If you’re a student, after the Upgrade goes live, you’ll perform many of the tasks you currently complete at the One Stop website in the new MyU. These tasks include registration, applying for financial aid and paying bills. 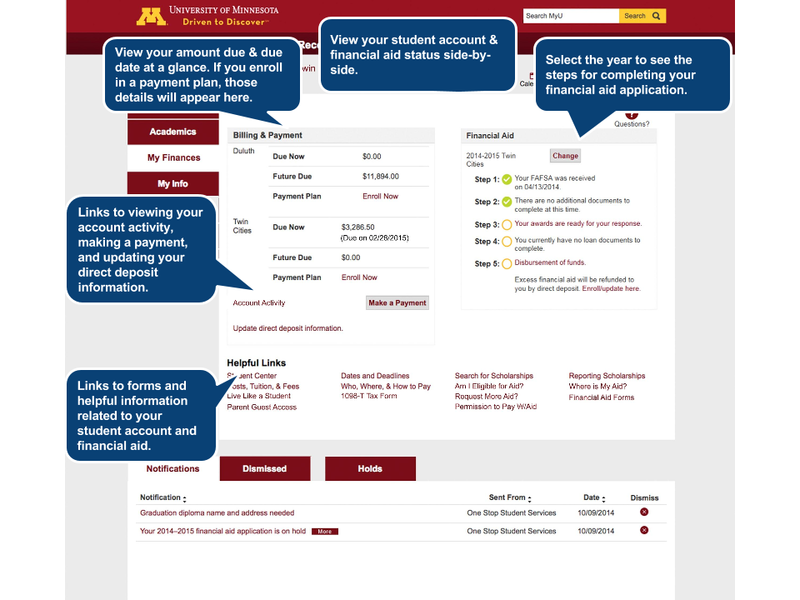 The My Finances tab shown here is your entry point to information about your student account and financial aid. Click the image to enlarge.